This program is open to all St. Richard School and Parish 3rd, 4th, 5th, and 6th graders. 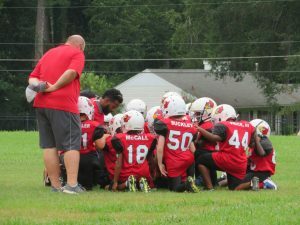 We will be going over basic football and doing a little conditioning so that we can jump right into fall practices. If your child would like to play please contact Josh Garner via Email Garner.joshua@jackson.sysco.com with the registration form below. Registration fee is $35.00. If you would like to discuss anything in more detail please feel free to call Josh Garner at 601.540.4666. 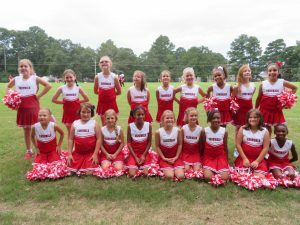 Cheer leading 3rd, 4th, 5th or 6th graders have weekly practice and attend all home football games to cheer on the St. R Cardinals. If you know anyone interested in cheering please contact Emily Decker at emilineh@hotmail.com for more information. 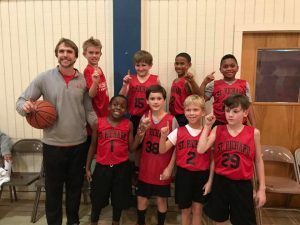 Boys and Girls Basketball – 3rd – 6th grade Boys and Girls are invited to play St. Richards basketball. Registration will start October 13th with practices starting shortly after that. Click here for the Athletic form, print the form, and leave it with the church office in the athletics’ mail box. Fees for basketball are $25 and checks should be made payable to St Richards Church.